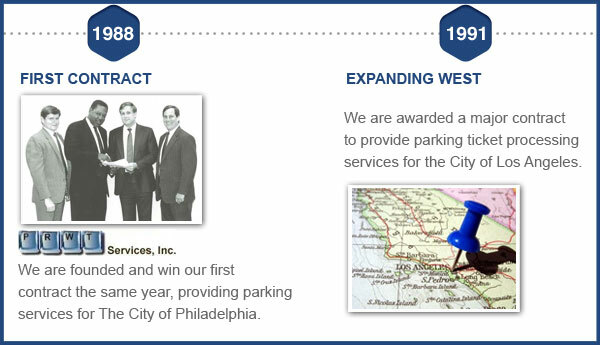 Founded in 1988, our founders – Willie Johnson, Raymond A. Saulino, Paul Dandridge, and William Turner – began providing and managing back-office clerical support services to public and private sector in Philadelphia, PA.
1988 - The founder’s first name initials (Paul, Willie, Ray, and Turner) are used to name the company - PRWT Services Inc.
1991 - We became a premiere outsourcing provider for municipalities and government agencies such as the City of Boston, the City of Los Angeles, and the City of San Francisco. 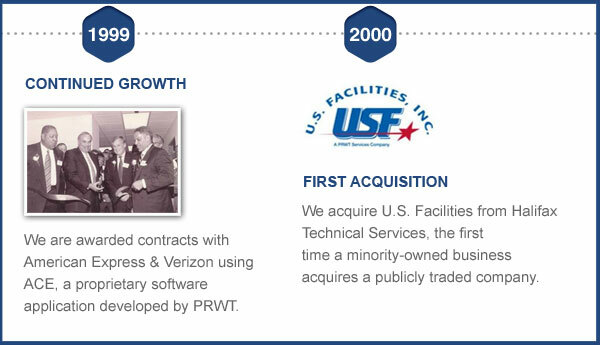 2000 - We acquired U.S. Facilities, Inc. (USF), a facilities management company with over 40 years of experience. Our acquisition marked the first time in American history that a minority-owned firm acquired a publicly traded company. 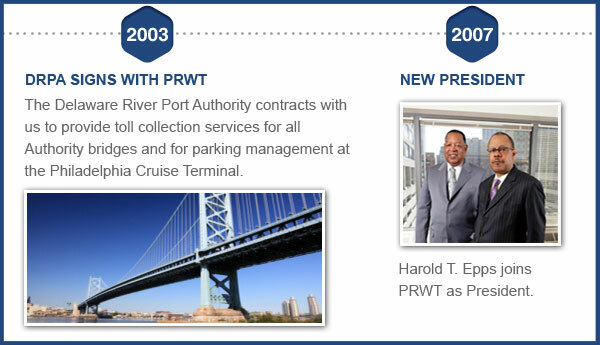 Since our acquisition, USF has won several multi-million dollar contracts in the federal and municipal agencies. 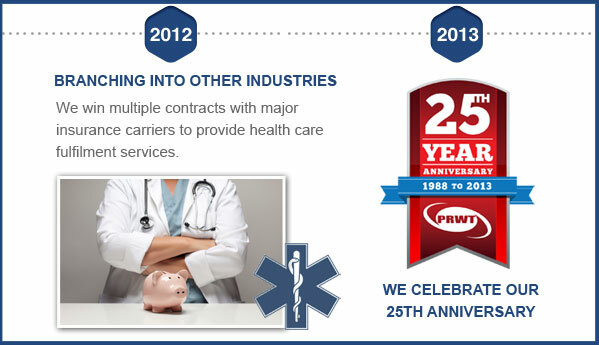 2001 - Our back-office services evolved and grow into full business process outsourcing (BPO) operations for government, agency, transportation, healthcare, and corporate clients. 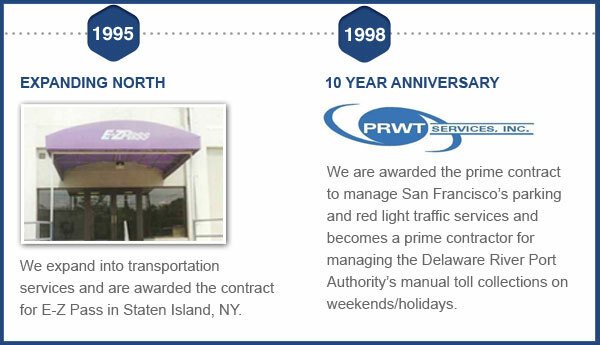 2001 - Our company received the U.S. Conference of Mayors Excellence in Public/Private Partnership Award. 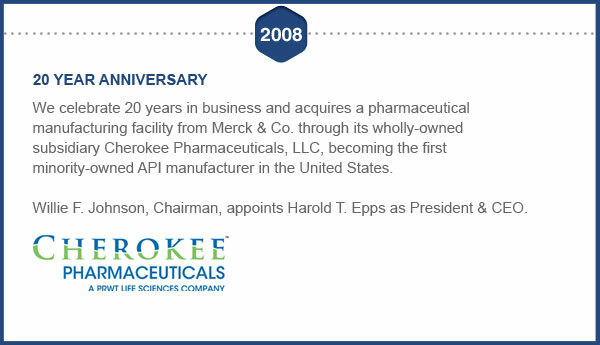 2008 - We acquired Cherokee Pharmaceuticals LLC from Merck & Co., Inc. and became the first minority-owned manufacturer of pharmaceutical ingredients in the U.S.
2010 - We sold Cherokee Pharmaceuticals LLC to concentrate on our traditional core business process solutions and facilities management services. 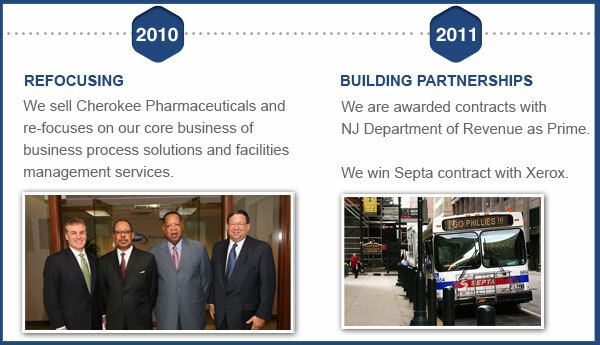 2011 - We expand with projects in 15 states and 23 cities with 1,400 employees. 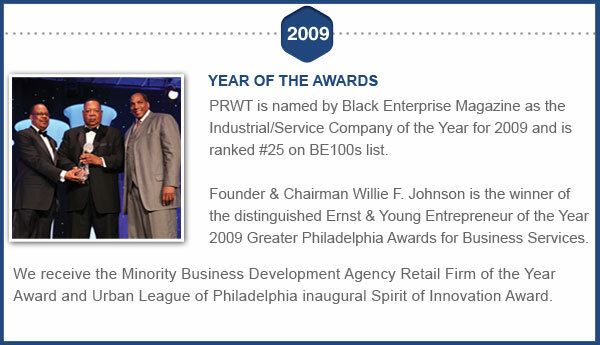 2011 - We continue to be recognized by Black Enterprise as one of the 100 Largest Minority Controlled Corporations in the nation. 2012 - We won the bid with the New Jersey Department of Revenue to open and pre-process all New Jersey tax returns. 2012 – Partnered with Public Consulting Group we won the contract to provide help desk support for the New York State Education Data Portal which helps educators, students, and their families improve student outcomes. 2015 - Mr. Malik Majeed is appointed as President and CEO. Today, we continue to grow our company. We also remain active in the communities we serve. Finally, we continue to mentor smaller minority, women, and veteran owned firms through subcontracting agreements.